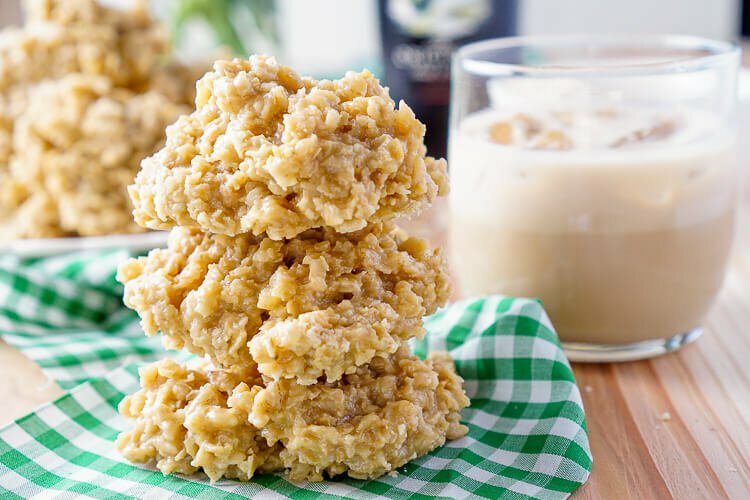 These Irish Cream No Bake Cookies are a boozy twist on the classic no bake cookie recipe! Perfect for St. Patrick’s Day! 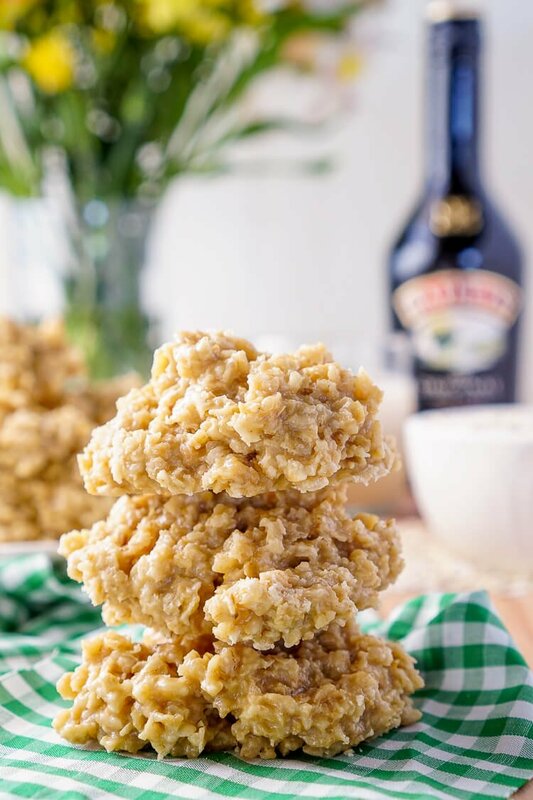 This Irish Cream No Bake Cookies recipe is one of my most requested recipes! So I figured it was finally time just to share it here so all my friends and family could easily access it rather than texting me every few months for it. Plus, I thought you guys might enjoy it too! I’ve made this recipe for years, and it is one of the best cookies that come out of my kitchen on a regular basis, but especially this time of year. 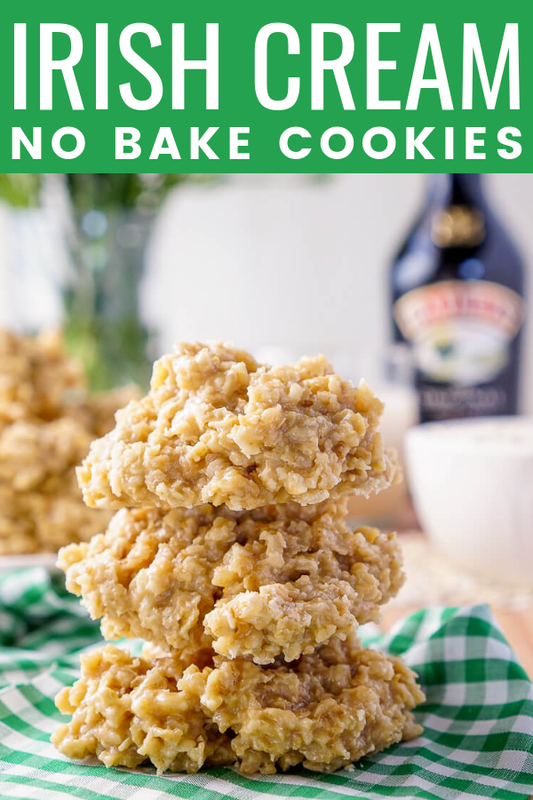 With St. Patrick’s Day sneaking right up on us, these Irish Cream No Bake Cookies are both seasonal and quite delightful! The Irish Cream blossoms with the sugar and oatmeal for a slightly sweet alcoholic punch, but don’t worry, there’s only 1 cup of liqueur in the entire batch. However, add them all to an airtight container for an hour or so and when you open it you’ll definitely know what they’re laced with! I’ve played around with the recipe a lot trying to perfect it, but honestly, it always comes out tasting delicious! 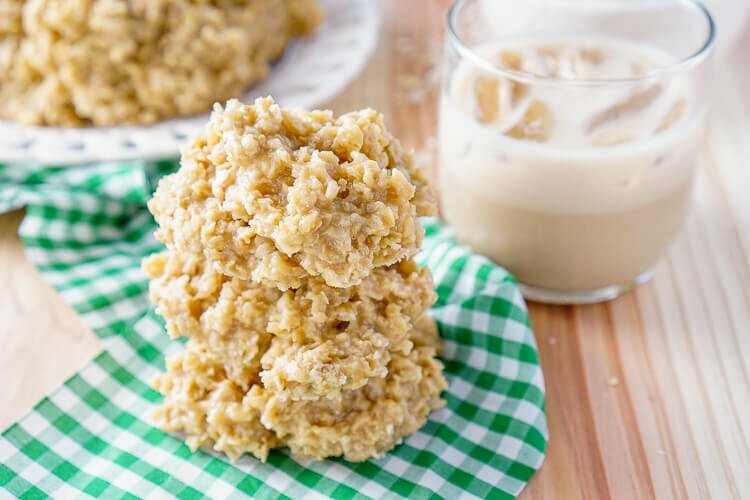 The Minute Oats are a MUST when it comes to no bake cookies and YES, 2 cups of sugar is accurate. You can swap out the vanilla instant pudding mix for white chocolate, cheesecake, or chocolate. Personally, I love the white chocolate, and the cheesecake and chocolate are good, just note that they do tend to overpower the Irish Cream a bit. These cookies can be made with or without the powdered creamer, but I prefer them with it! 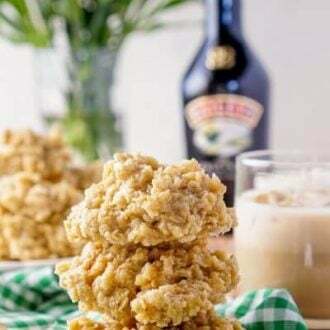 More St. Patrick’s Day Recipes! 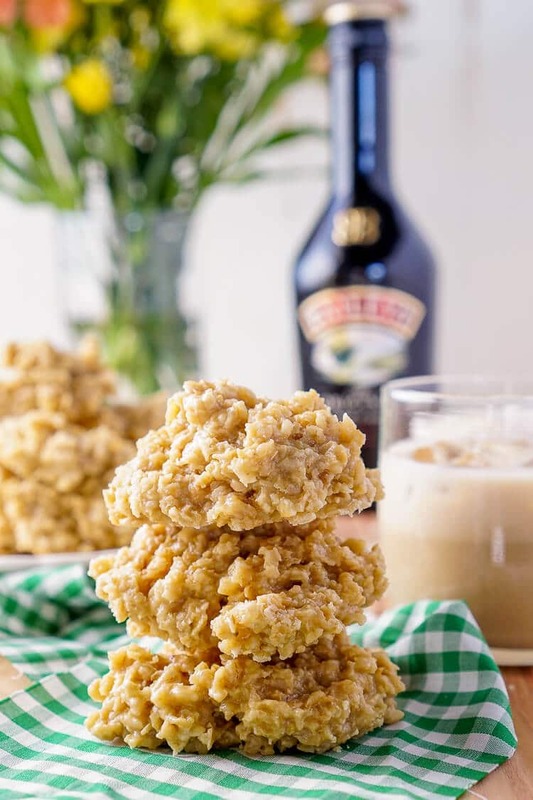 These Irish Cream No Bake Cookies are a boozy twist on the classic cookie recipe! 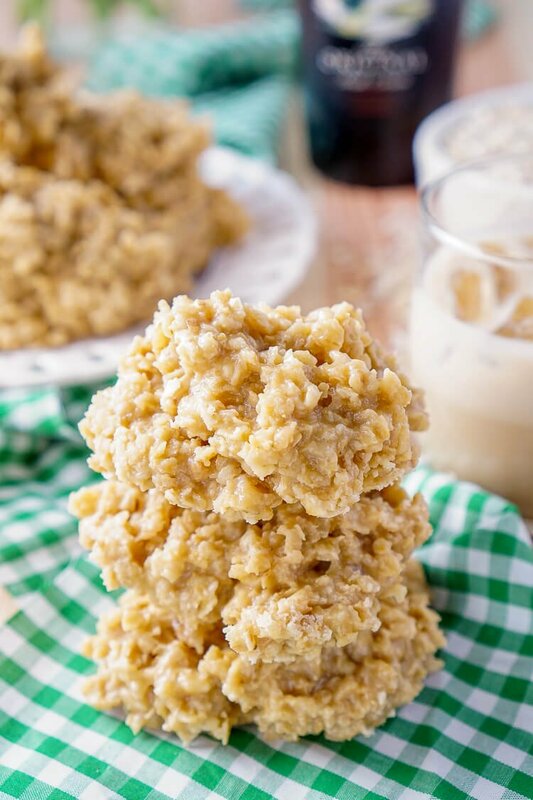 Irish cream combined with sugar, butter, and oatmeal for a richly sweet treat that's perfect for St. Patrick's Day! Add butter, sugar, and Irish cream to a large pot and bring to a boil. Keep on a rolling boil for 90 seconds. Remove from heat and stir in remaining ingredients, once fully combined, plop large spoonfuls onto wax paper and let set for about an hour. You can replace vanilla pudding with white chocolate, chocolate, or cheesecake pudding. If you would prefer them to be less boozy, I recommend 1/2 cup of milk and 1/2 cup of Irish Cream liqueur. It's very important to have a rolling boil for 90 seconds, if you undercook then your cookies won't harden and if you overcook then your cookies will turn out dry and crumbly. Cookies will have a hard time setting if it's raining or humid. How long will these keep? Should they be stored in the refrigerator? Hi Michele, they should keep for about a week in a ziploc bag on the counter. 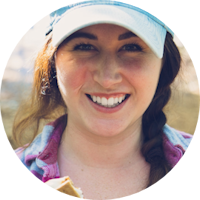 You can put them in the fridge if your house is really hot right now, but it’s not necessary.